EID Architecture was just announced the Winner of Mixed-Use Architecture Award (Future) at the Plan Award Ceremony 2017 in Venice. In addition, a second project was a finalist in Office & Business Section and three other projects were shortlisted. The impressive quality & quantity of the projects had EID highly spoken of at the Perspective EU Forum held during the Venice Biennale 2017. 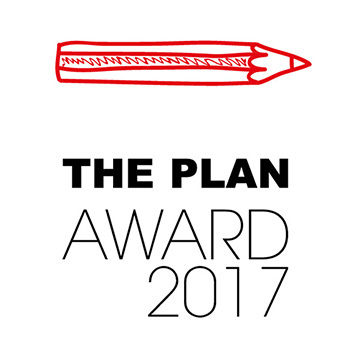 THE PLAN AWARD is an award created and promoted by THE PLAN, a well-known Italian architecture magazine. The award is intended to disseminate knowledge of and improve the quality of the work done by designers, academics, critics and students in the architecture, design and city planning fields. As an avant-garde architectural media award, it is increasingly influential for many leading architecture practices world-wide. Such practices shortlisted include world famous studios such as SOM, Steven Holl Architects, Christian De Portzamparc, Rafael Viñoly Architects, B.I.G, Schmidt Hammer Lassen Architects, Jeanne Gang, etc. The design for Longfor Phase IV is intended as an exploration of vertical urbanism for a high density mixed-use project. 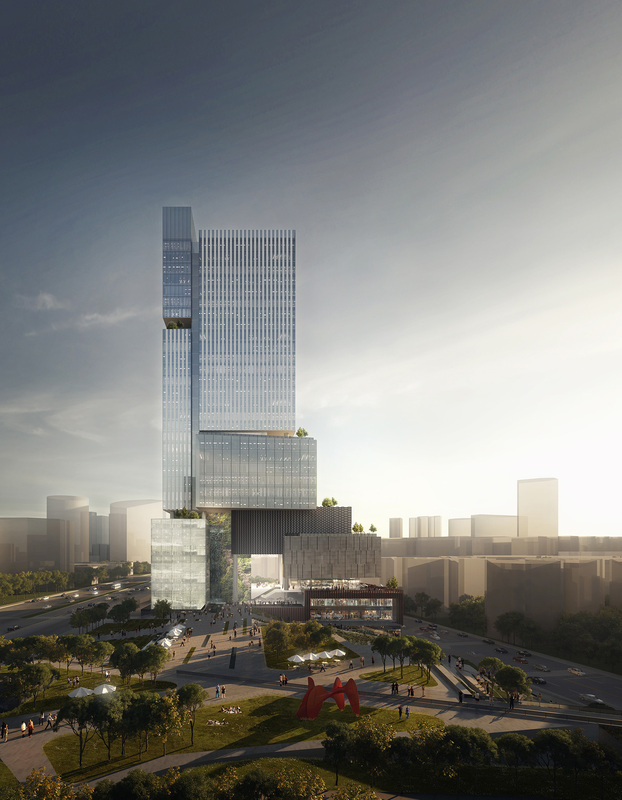 Located in a vibrant central area in Chongqing and alongside 1st Avenue with an adjacent park at street level, the project comprises a single tower and associated podium integrated as an assembled massing of stacked box-like volumes rising to a total height of 150 meters, offering high grade office space at high level and boutique retail areas at lower levels. On a design level, the project draws inspiration from the nearby countryside — with its natural karst formations — as well as from the surrounding city, where vernacular dwellings cascade down steep inclines in the city’s fabric. The outcome is a design that is both contextual and iconic, contextually integrated whilst unique in appearance that allows for a visual and spatial porosity and connectivity across all levels with a naturally balanced composition of stacked box-like volumes interlocked with a tower component, creating a design of understated monumentality and a harmonious contextually responsive composition. This project has also won the AIA Hong Kong Merit Award 2016. In addition, Motuo Meteorological Center in Tibet got into the Finalist of Office & Business Architecture (Future).